"College" (1927) is a classic comedy, included in our program to illustrate the work and contributions of our stars Florence Turner and Snitz Edwards. A young man with no appreciation for sports goes to college to be close to his love interest, but he must become an athlete and prove to her that he is not a weakling. Buster Keaton and Florence Turner are a son and a mother headed for his graduation in "College" (1927). 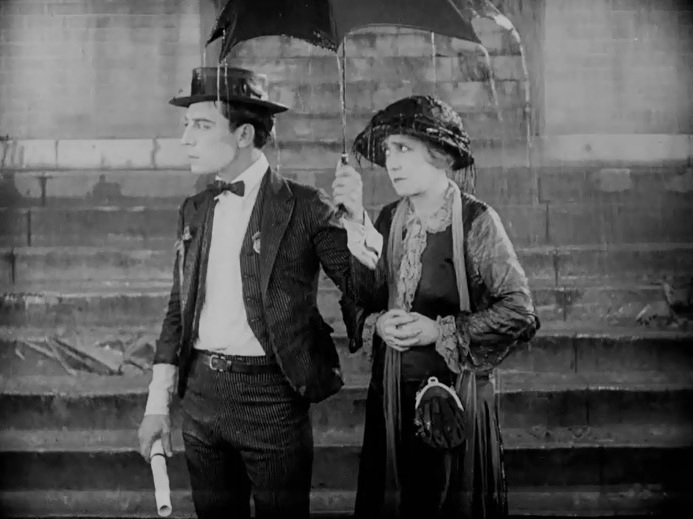 Buster Keaton decides to buy an umbrella as Florence Turner waits patiently in "College" (1927). 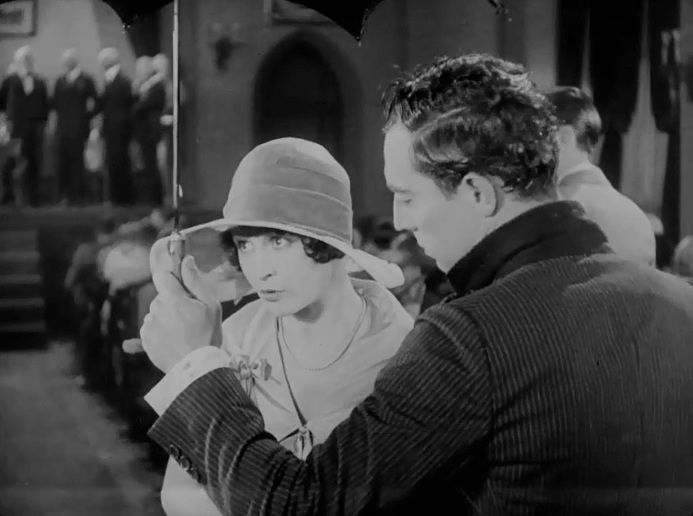 Buster Keaton keeps Anne Cornwall dry under his umbrella at the graduation ceremony in "College" (1927). 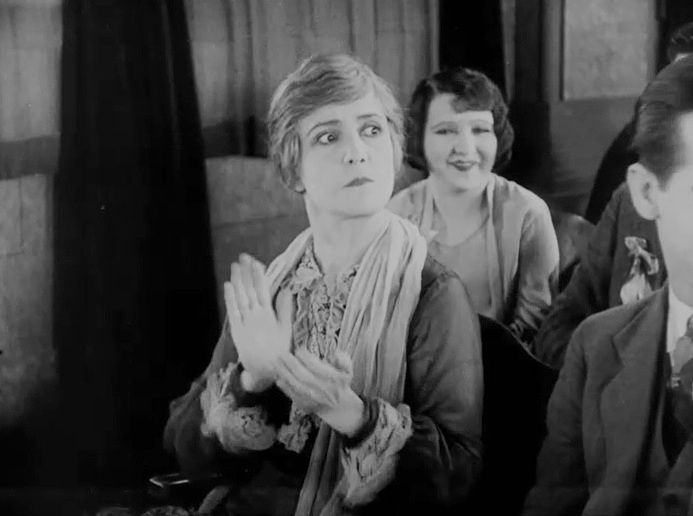 Florence Turner applauds vigorously as the audience laughs at Buster Keaton's tight suit in "College" (1927). 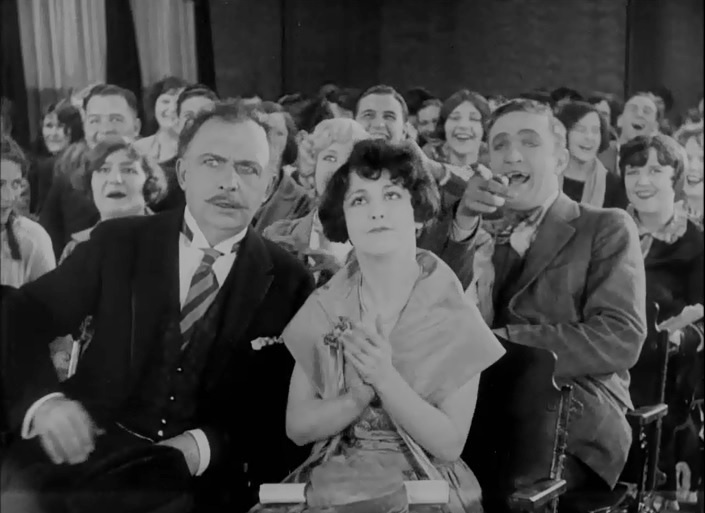 Anne Cornwall also applauds as the audience laughs at Buster Keaton's tight suit in "College" (1927). 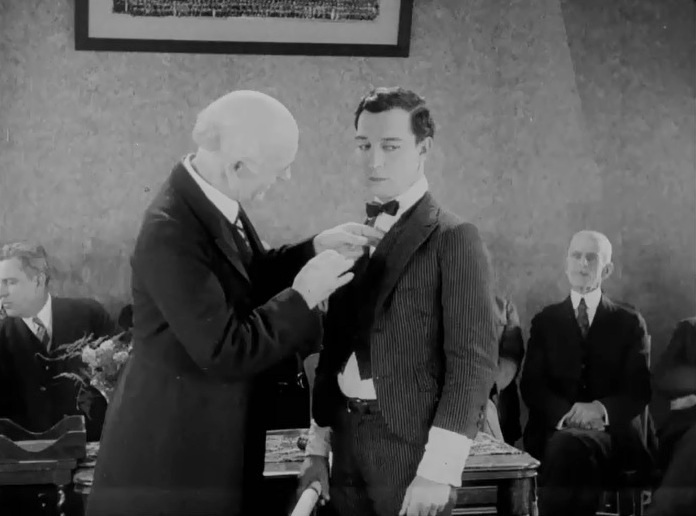 Buster Keaton is presented with a medal of honor in "College" (1927). 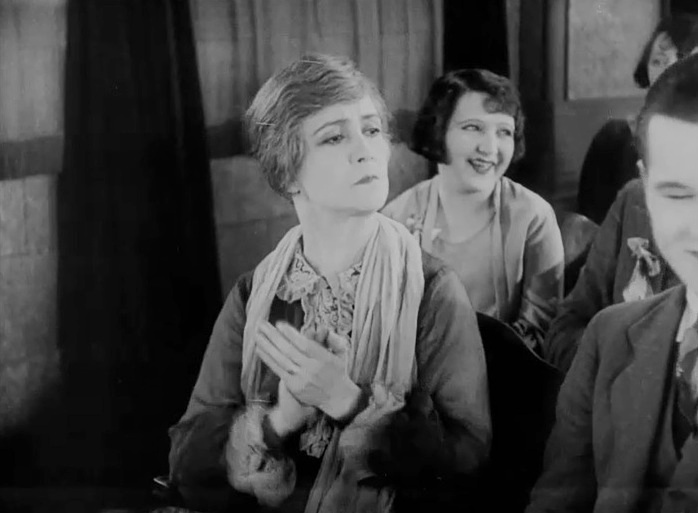 Florence Turner does some vigorous clapping as the audience keeps laughing in "College" (1927). Buster Keaton makes no friends with his anti-athletics speech in "College" (1927). 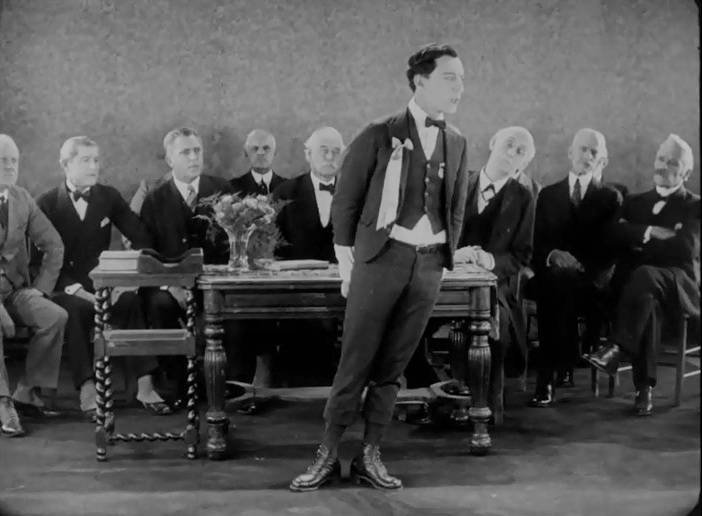 The academics listen attentively as Buster Keaton makes his speech in "College" (1927). 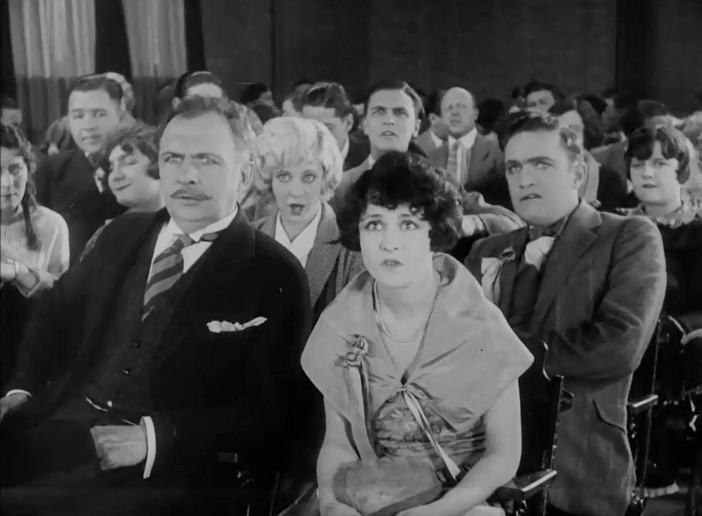 Florence Turner seems worried after all the audience left in "College" (1927). 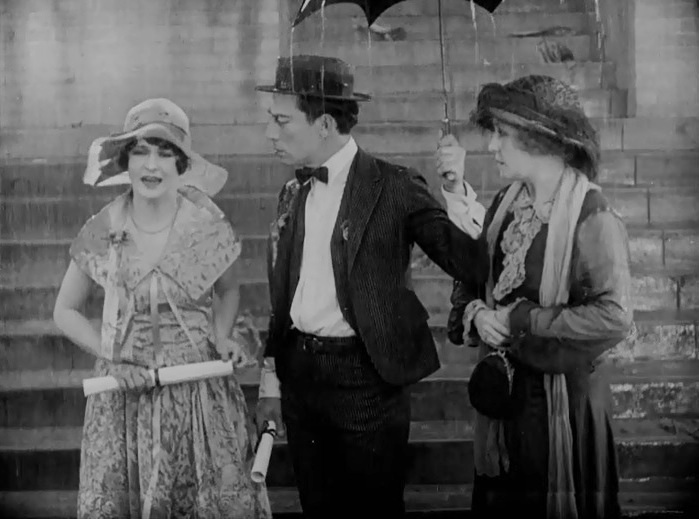 Buster Keaton can't keep both Anne Cornwall and Florence Turner dry under one umbrella in "College" (1927). Anne Cornwall doesn't want to know Buster Keaton until he changes his priorities as Florence Turner looks on in "College" (1927). 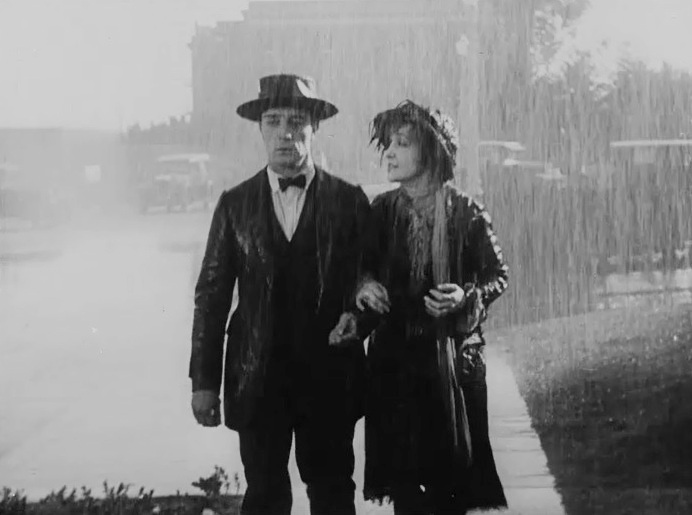 Buster Keaton and Florence Turner are left alone in the rain in "College" (1927). 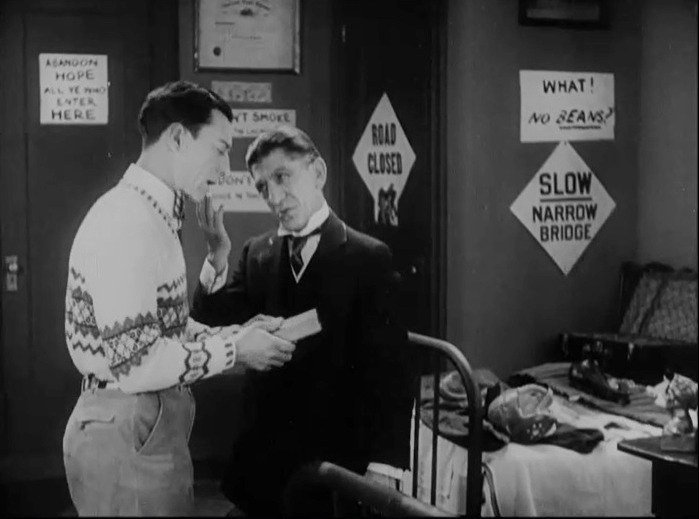 Buster Keaton is welcomed very warmly by his dean Snitz Edwards in "College" (1927). 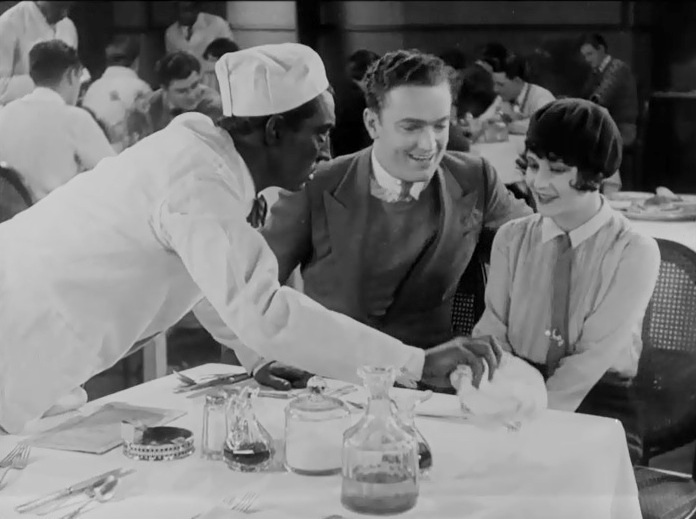 Buster Keaton, posing as a colored waiter, must attend his rival Harold Goodwin and Anne Cornwall in "College" (1927). 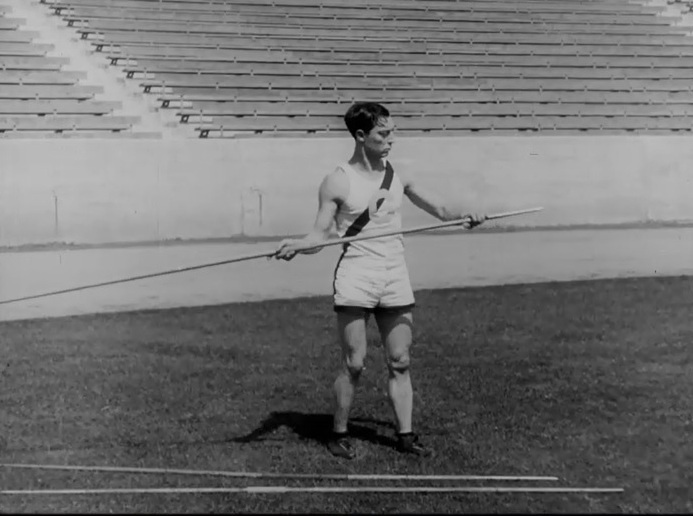 To please his love interest, Buster Keaton tries all athletic disciplines with equal failure in "College" (1927). Here he tries the discus. To please his love interest, Buster Keaton tries all athletic disciplines with equal failure in "College" (1927). Here he tries the javelin. 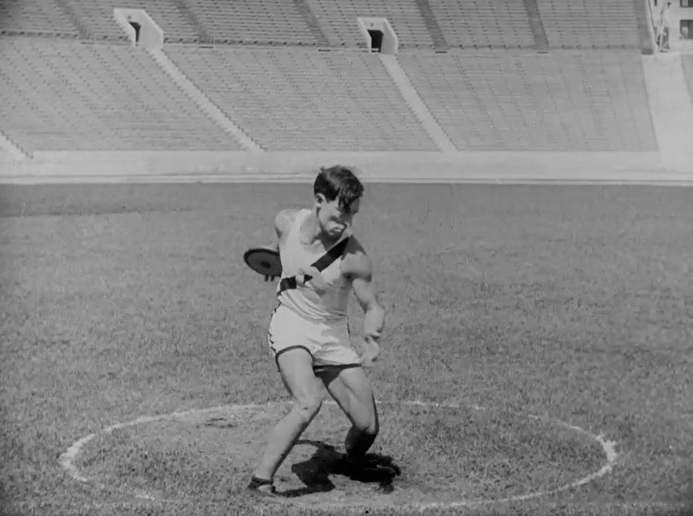 To please his love interest, Buster Keaton tries all athletic disciplines with equal failure in "College" (1927). Here he tries the hammer. 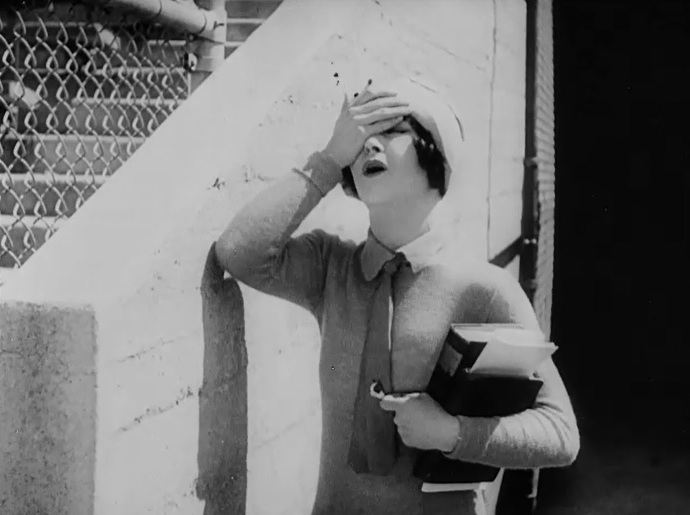 Anne Cornwall reacts to Buster Keaton's failing attempts at athletics in "College" (1927). 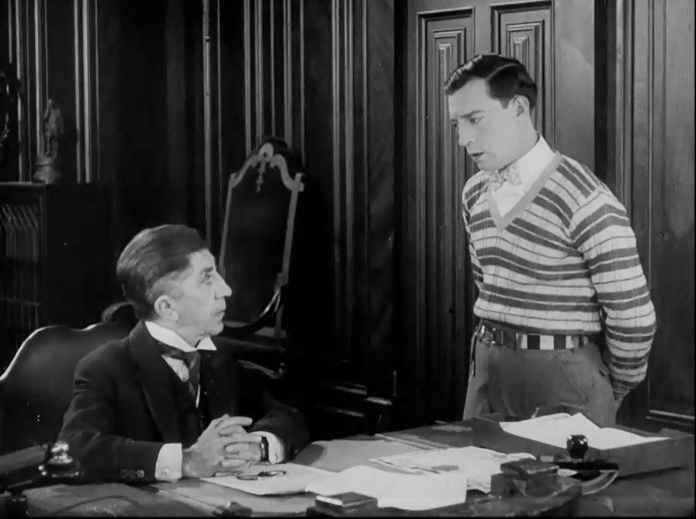 Buster Keaton is reprimanded by Snitz Edwards for his failing grades in "College" (1927). 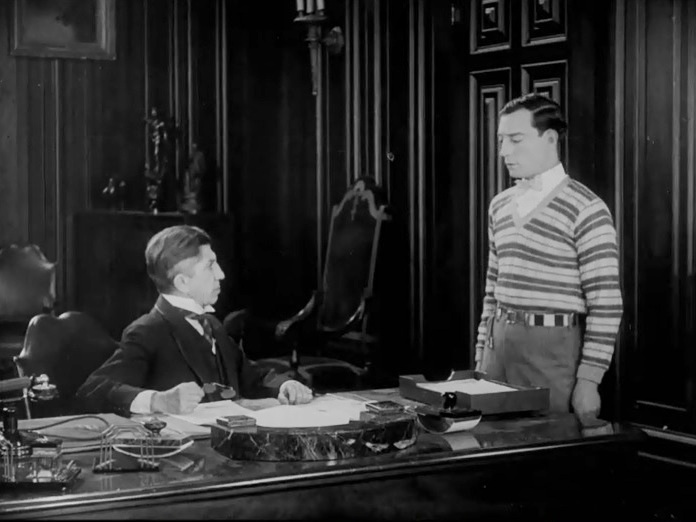 Buster Keaton explains to Snitz Edwards what drives him to try sports in "College" (1927). 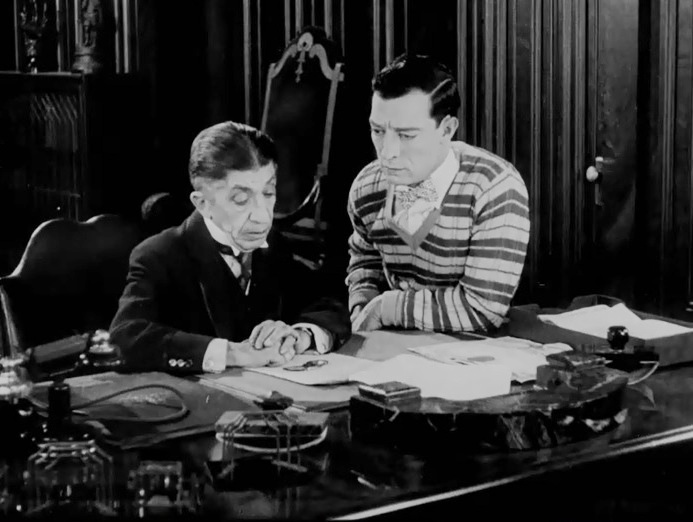 Buster Keaton and Snitz Edwards have a little man-to-man talk in "College" (1927). 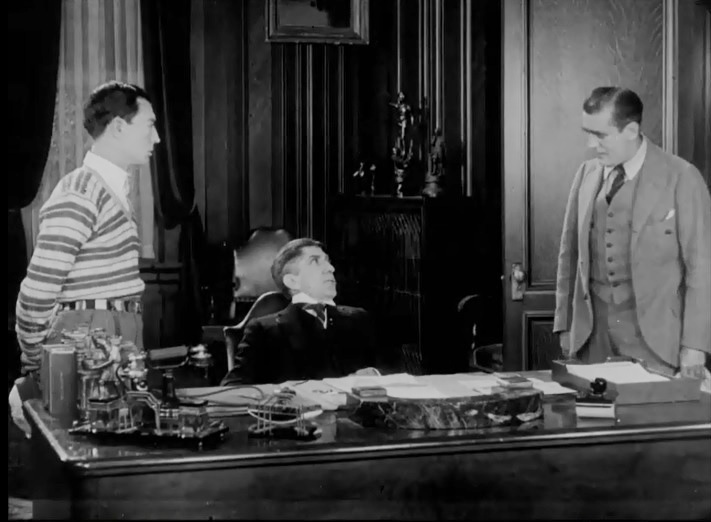 Snitz Edwards insists to the rowing coach that Buster Keaton be included in the team in "College" (1927). 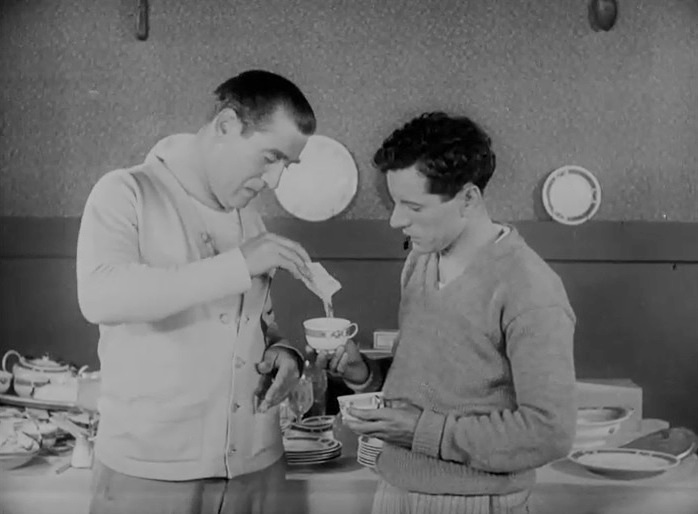 The rowing coach prepares to get rid of Buster Keaton by putting sleeping powder in his cup in "College" (1927). Buster Keaton looks on as the sleeping powder reaches the wrong recipient in "College" (1927). 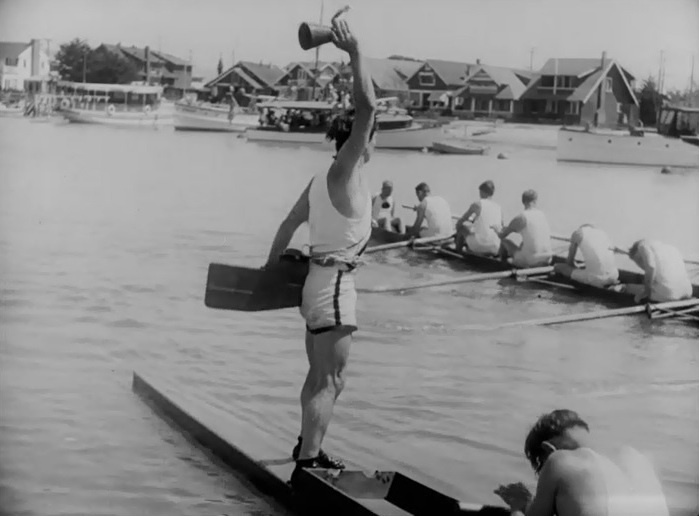 Buster Keaton guides the rowing team to victory in "College" (1927).